Before Joining Fakih IVF as an IVF Specialist, Dr Marta has been working as a Fertility Specialist at IVF Hammersmith in Hammersmith Hospital, one if the world's most recognized IVF units, and before that as a Reproductive Medicine Consultant at Hospital General Universitario in Spain for over 7 years in which she was responsible for investigating, focusing diagnosis and treatment, monitoring of infertility patients, undergoing surgical procedures including oocyte retrievals, embryo transfers, insemination and other surgeries. Her medical expertise includes all infertility treatments such as IVF-ICSI, Natural and medicated FERC, IUI-DI, Ovulation Induction, OGD, Fertility Preservation & more. 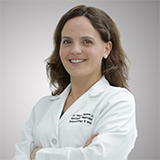 Dr Marta completed her Medical Degree (MBSS) at Complutense University in Madrid, then her Specialist Training in Obstetrics & Gynecology Valladolid University, and obtained her Masters in Reproductive Medicine at Complutense University Madrid with theoretical and practical training in all aspects of ART techniques. Dr Marta is fluent in English and Spanish.